To solidify, boost its operations and consolidate its position as a leader in the country’s logistics industry, SIFAX Haulage and Logistics Limited, one of the subsidiaries of SIFAX Group, has acquired twenty brand new trucks. The trucks are European trucks with 420 horse power rating. 10 of them are ‘6 by 4’ double axles while the others 10 are triaxle flatbeds with 48 tonnage capacity.The brand new truckswill complement the 55 trucks already in use by the company, thereby bring the company’s fleet size towith 75 trucks. 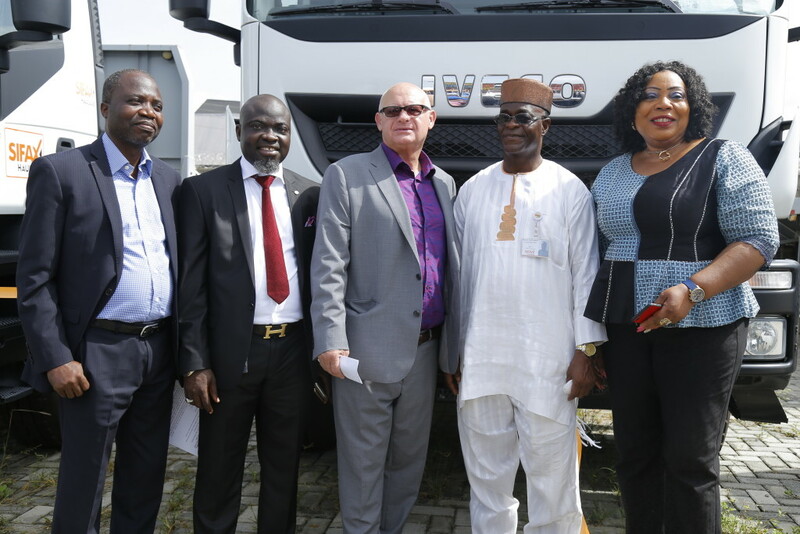 While speaking at the formal commissioning of the trucks, Mr. Adewale Adetayo, General Manager, SIFAX Haulage& Logistics Limited, the company’s decision to expand its fleet is a statement of intent by SIFAX Group to deliver a better service to its clients and become an undisputed leader in the industry. 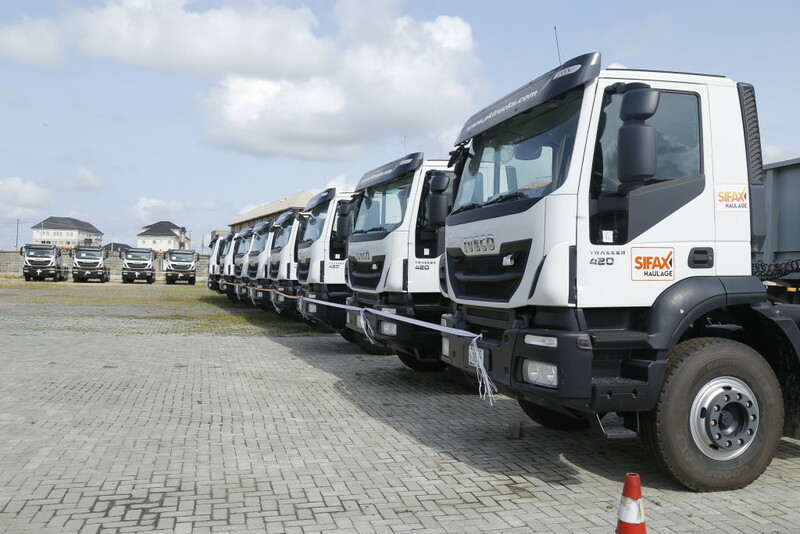 He said: “The acquisition of these new trucks is a clear demonstration of the unfettered commitment of the management of SIFAX GROUP to the strategic goal of repositioning SIFAX Haulage & Logistics Limited for greater productivity. This commitment is part of the company-wide strategy of strengtheningall the subsidiaries with the requisite capacity and capabilities to deliver on the corporateobjective of delivering best value in all sectors we operate. Speaking earlier, Mr. John Jenkins, Group Managing Director, SIFAX Group explained that with the commissioning of these new trucks, the company now lives up to the standard it is known for worldwide noting that the company’s business acumen is geared towards constantly meeting customer needs and adding value to all its businesses. “Today’s commissioning is in line with the company’s vision of making all its brands and businesses the frontliners in their respective sectors. We are committed to constantly strengthening the logistics value chain of the maritime sector of which haulage is an important value,” he said. Jenkins further assured clients that with the acquisition and relevant capacity development programmes that the staff have undergone, the quality of service they will enjoy will be a lot better.